The items on this page were inspired by the works of Charles and Henry Greene, often simply referred to as Greene & Greene. 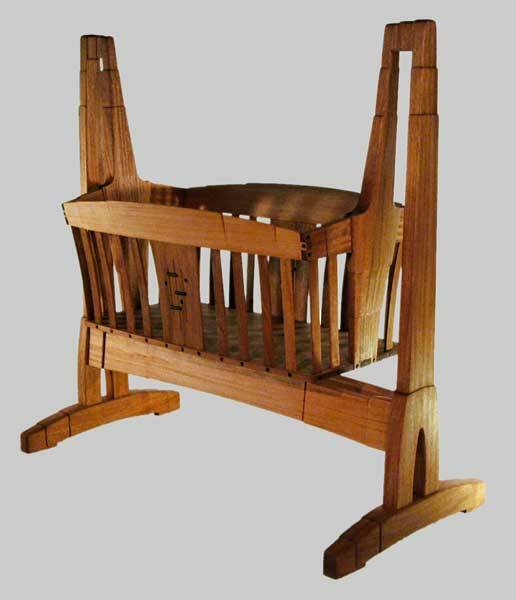 In addition to their groundbreaking architectural styles, the Gamble House being the best known example, they also designed the most elegant Arts & Crafts furniture of all time. 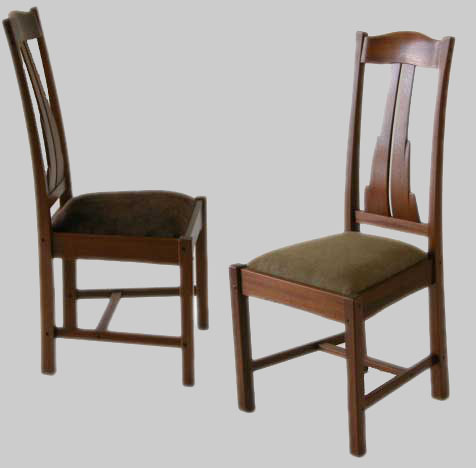 Many craftsmen have taken inspiration from them when developing their own style. These are my interpretations. These pieces show small variations on the same theme. 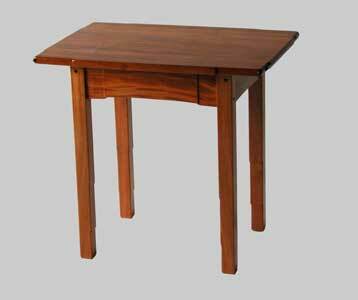 The side table is the most recent variation and represents the tack I would take if left to my own devices. However, varieties are shown so you may decide which best fits your aesthetic preferences. Remember, it's about the word custom. What would you like? Prices are shown for standard pieces. 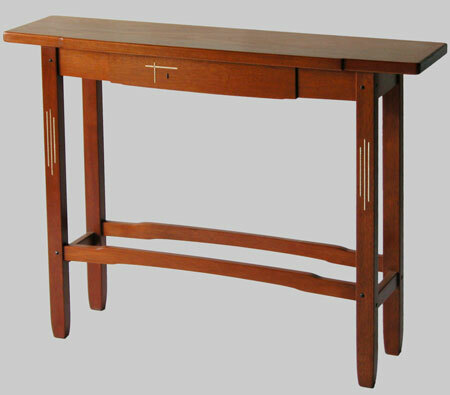 Toward the bottom of the page, and without prices, are custom pieces that were developed on demand. Contact me if you are interested in developing similar, or other, pieces. 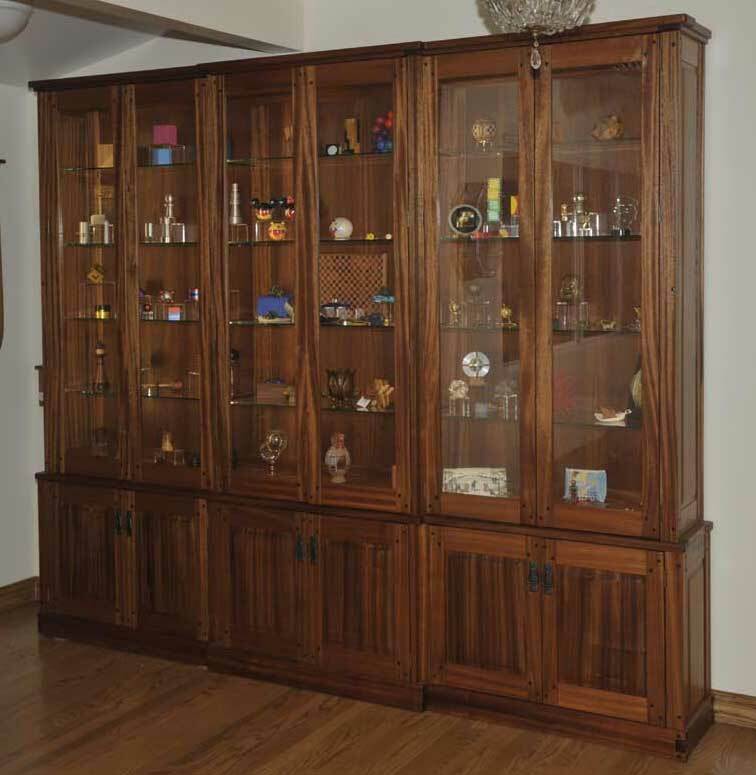 This clock was derived from the "Greenov" Cabinet shown below. 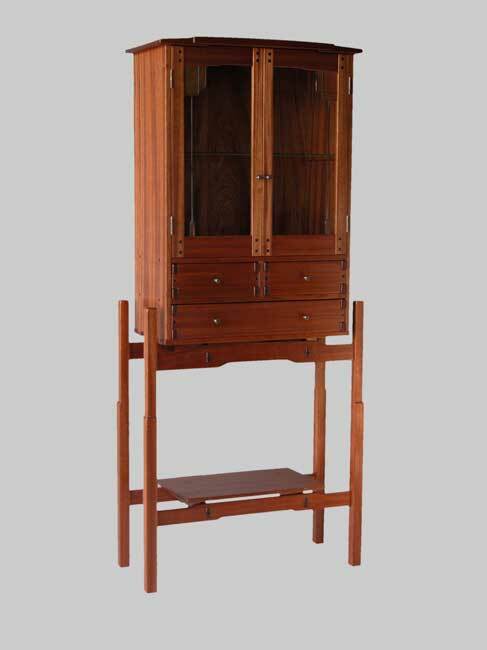 The cabinet and stand are mahogany with ebony details. The clock face is figured maple with ebony marks. It stands six feet tall and is available exclusively through Copperwood Artware Gallery in Orange, CA. for $7,500. Since you will probably want to select upholstery fabric to match your decor we can work out an adjustment on a case by case basis. $1425 each in quantities of four or more. A one of a kind fusion inspired by the styles of James Krenov and Greene&Greene. 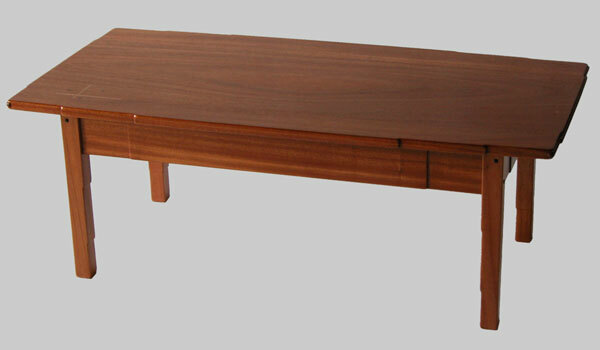 Mahogany with ebony details. 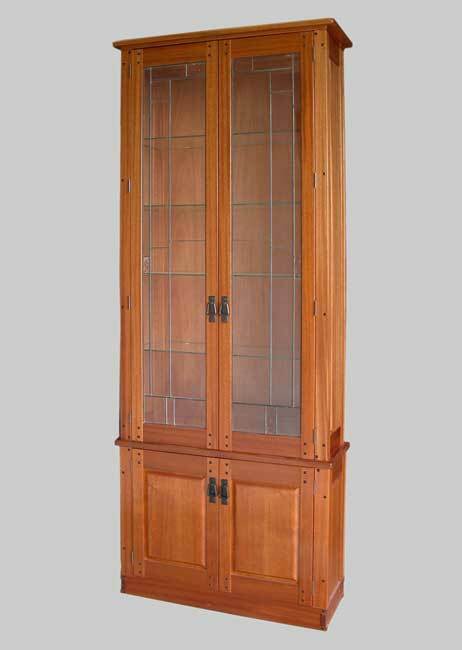 The upper cabinet is approximately 36"H x 24"W x 12"D. Introduced at the 2010 Craftsman Weekend in Pasadena, CA. This item has sold. New pieces are priced at $7,500. 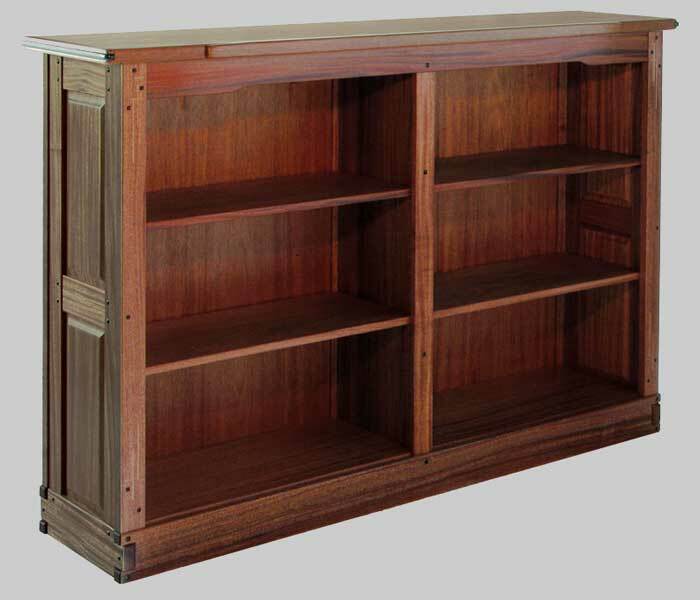 This is a counter-top television cabinet based on the Belle Barlow-Bush curio cabinet. 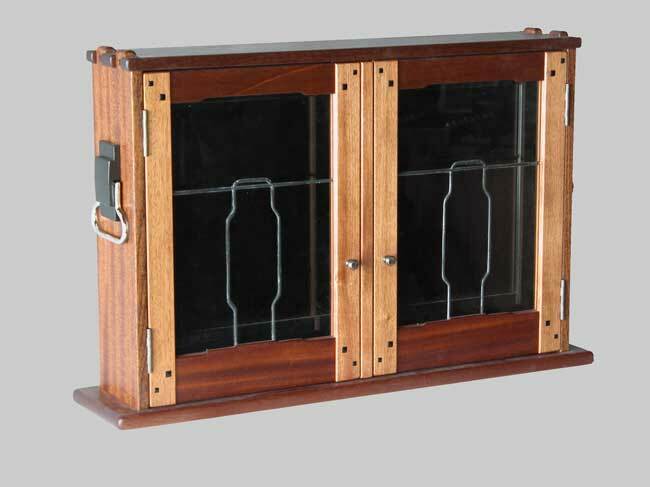 This example holds a 26" television and sports clear glass similar to the original. 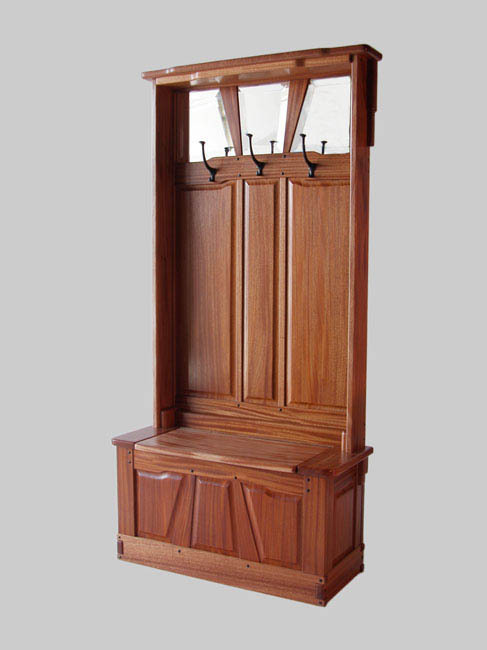 Based on customer preferences, opaque leaded glass or solid wood panels could be substituted. This uses the wall mount attachment points available on flat panel sets. Price depends on size, starting at about $2,000. A frame for wall mounted sets is on the drawing board. See below for a larger custom version delivered in 2010. 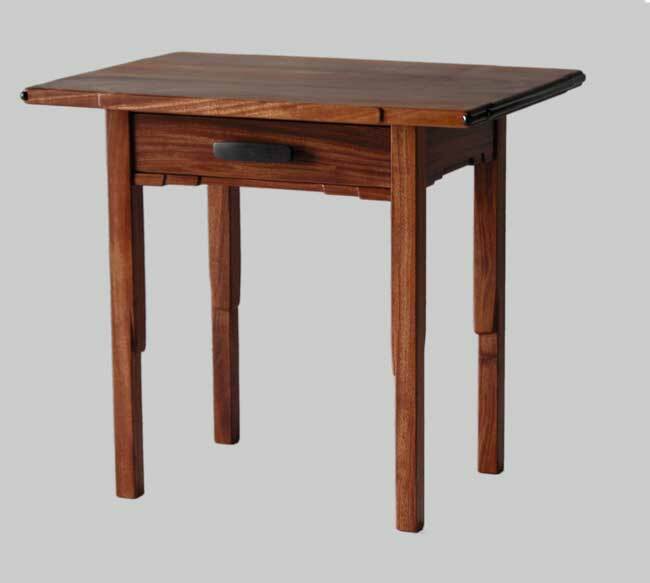 Shown in mahogany with maple and ebony details. 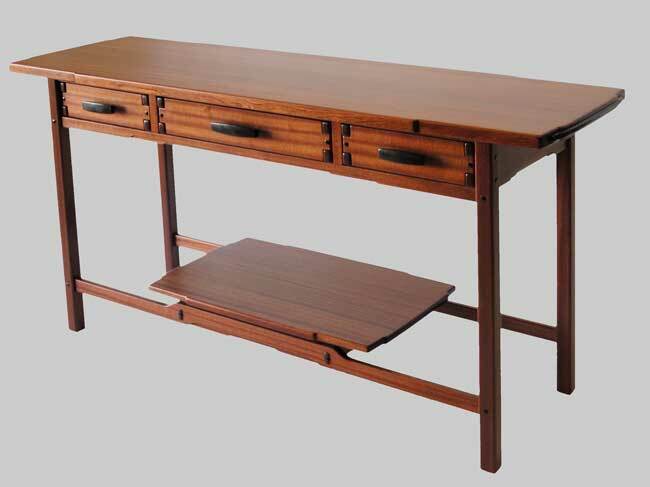 Many options apply for size, drawers, and detailing. 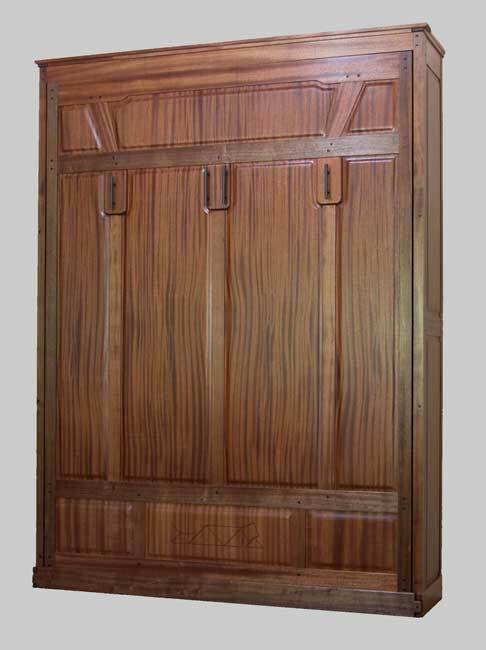 This is an 8 foot wide cabinet for a custom requirement. Another custom request. Can you see the tangram of a resting man on the bottom center panel? My customer called and asked "Can you make me a hall tree?" "Sure," I said. "What's a hall tree?" (After all, this is Southern California.) Such is the nature of custom work. 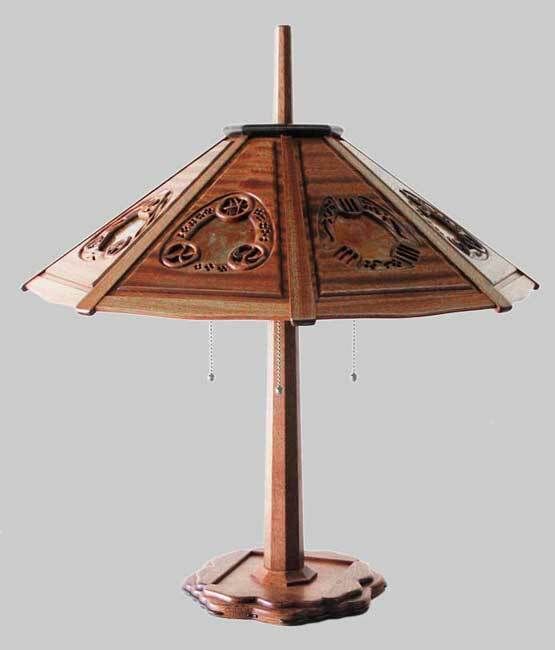 Shown in mahogany with ebony details.